Based on the life of Colette, this musical had its start in 1982 on a “out of town” production, starring Diana Rigg in the title role, which never made it to Broadway. 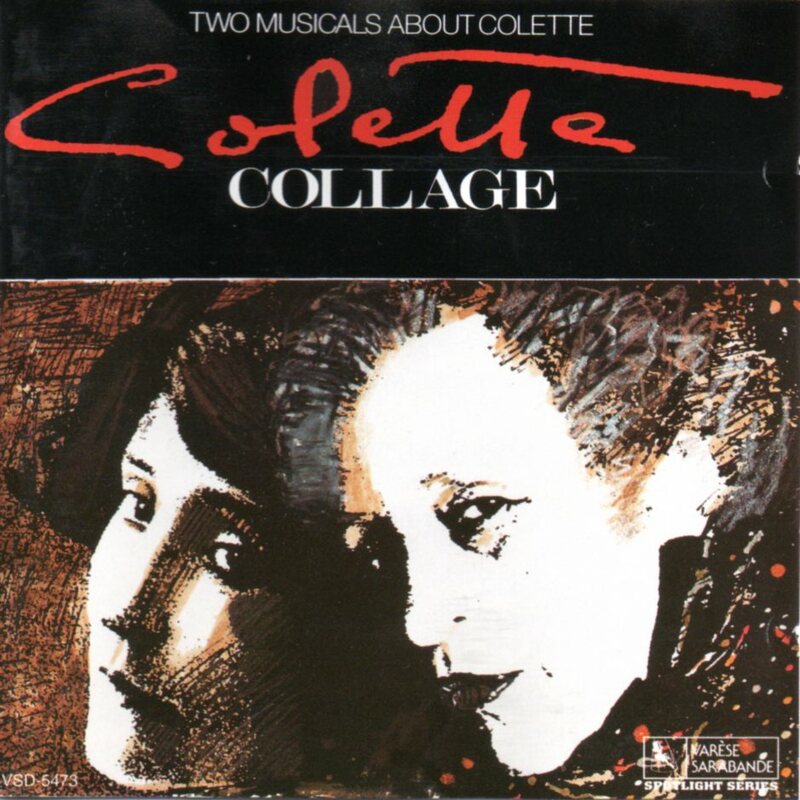 Two more versions of the show were produced and the last one, in 1991, was titled COLETTE COLLAGE and sub-titled “two musicals about Colette”. That’s the one that was turned in this delightful studio cast recording. For me, this is Harvey Schmidt & Tom Jones (11O IN THE SHADE, THE FANTASTIKS) best work. With terrific orchestration by Larry Moore, this is a rich score, with some haunting ballads (“Joy”. “I Miss You”), funny musical numbers like “Two Claudines”, “Riviera Nights” or “Ooh-La-La” and beautiful songs (“Be My Lady”, “The Room Is Filled With You”). The cast couldn’t be better! Judy Blazer as the young Colette and Judy Kaye as the older Colette sound perfectly in their roles and both shine in her numbers. Jason Graae is at his best and Jonathan Freeman has the opportunity to show his big talent. A highly rewarding recording, it deserves to be part of every musical lover’s library.